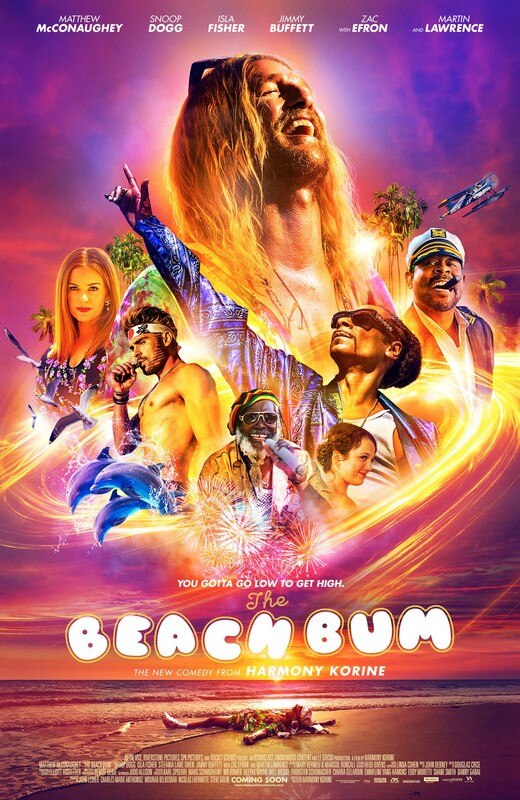 The Beach Bum follows the hilarious misadventures of Moondog (Matthew McConaughey). Writer-Director Harmony Korine (Spring Breakers) has yet again created a thrill ride of a Film but this time he’s all about finding bliss. He has an amazing Cast with an outrageously-funny lead performance by McConaughey. What makes The Beach Bum great is that there is an important message to be learned through Moondog’s madness, and it’s an important one. 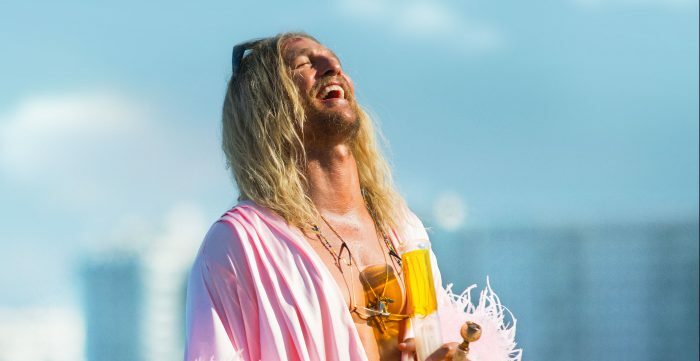 The Beach Bum screens at SXSW on March 9 at 6PM at The Paramount Theatre. “Spring Brea-eak. Spring Break forever, B*tches!”. Part-Arthouse Flick, part-Teen Fantasy, Director/Writer Harmony Korine’s Spring Breakers has been winning accolades since it debuted last September at the Toronto International Film Festival. With an All-Star Cast which includes Selena Gomez, Ashley Benson, Vanessa Hudgens, Rachel Korine and of course, a blinged-out James Franco, I personally have witnessed its greatness. Read my Review here. http://www.mrwillwong.com/springbreakersdvd @MRWILLW wants us to #win copies of #SPRINGBREAKERS on DVD! In stores 7/9/13. Spring Break forever, B*tches! Spring Breakers is available on DVD and Blu-Ray Combo Pack Tuesday, July 9, 2013 via VVS Films. Spring Brea-ea-eak. Spring Break forever, B*tches! 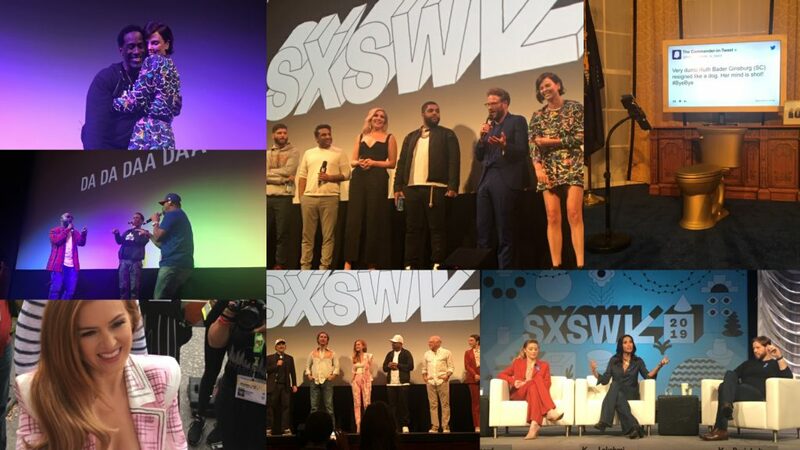 Part-Arthouse, part-Teen Fantasy, Director/Writer Harmony Korine‘s Spring Breakers has been winning accolades since it debuted last September at the Toronto International Film Festival. With an All-Star Cast which includes Selena Gomez, Ashley Benson, Vanessa Hudgens, Rachel Korine and of course, a blinged-out James Franco, I personally have witnessed its greatness and am so excited for you to discover the Film that Girls Creator Lena Dunham is raving about! Here’s your chance Edmonton and Calgary to see Spring Breakers before everybody else! VVS Films, Touchwood PR and Mr. Will Wong would like to give Readers a chance to see a special Advance Screening in both cities on Wednesday, March 27, 2013. To enter, simply click “like” on this Post at Mr. Will Wong on Facebook and share it on Facebook to double your chances, before Friday, March 22, 2013. Good luck! Spring Breakers opens in select cities Friday, March 29, 2013. Since hearing about it at TIFF, I’ve been itching what seems like forever now to see Spring Breakers, Writer/Director Harmony Korine‘s Dramedy about four Spring Break-obsessed College Girls who decide to rob a store to fund their vacation. After getting caught and thrown in jail, they are bailed-out by a Gangster named Alien who enlists their help for a special task, introducing them to his dangerous world of Crime. Korine tells Interview Magazine last Summer that he was inspired to create Spring Breakers after spending many of his vacations simply Skateboarding, so this is Project gave him an opportunity to make-up for what he missed growing-up. Despite few having reviewed it, the Film has garnered some raves from Critics so far at Rotten Tomatoes, earning a not-at-all-disgraceful 62% on the Tomatometer. I am intruged by its Cast which includes Rachel Korine (Wife of Harmony), Selena Gomez, Ashley Benson, Vanessa Hudgens, Heather Morris and James Franco in yet another odd choice of role for the Oscar-nominated Actor. VVS Films releases Spring Breakers on Friday, March 29, 2013.